I was diagnosed with psoriasis a few years ago. I went to see my long-time doctor because I had dry and flaky patches of skin that would not go away no matter how many times a day I moisturized them. My doctor prescribed me an ointment which cleared the patches up in a week or two. A few months later I moved across the state. As time went by my psoriasis slowly came back, and I have kept putting off seeing a doctor for it. Now fast forward 3 years and here I am, so excited for summer to arrive except for the fact that shorts and short sleeves leave my psoriasis exposed. Getting an appointment and going to see my doctor is time consuming and inconvenient. Between waiting for an appointment, traveling to the doctor's office, and all that time spent waiting in the waiting room, I can't help but think of all the things that I would rather be doing with my time. This is precisely why I decided to give Doctor On Demand a try. While the average wait time to see a primary care physician is 3 weeks, the average wait time to see a Doctor On Demand physician is just 3 minutes! 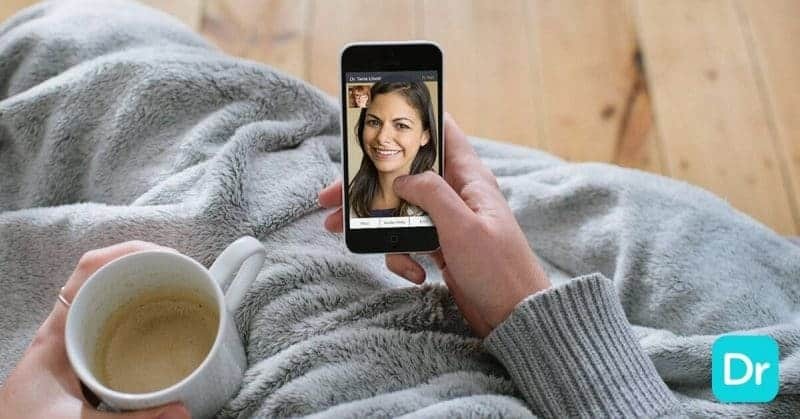 With Doctor On Demand you can have a real-time, face-to-face, video visit with a physician, psychiatrist, or psychologist whenever and wherever is convenient for you. Doctor On Demand ensures that all of their doctors are board-certified and licensed in your state. The doctors can treat most common medical conditions such as allergies or, as in my case, skin conditions. They can even write and send prescriptions electronically to your local pharmacy. I was able to download the app onto my iPhone and create a profile within just a few minutes. Just like visiting any doctor, the app asked me for information about myself, medications that I am currently taking, my pharmacy, my symptoms, and the reason that I was booking a video visit. Once I entered all my information I had the option of either scheduling a video visit or seeing a doctor immediately. I choose to see a doctor immediately. I then waited just 2 minutes before a doctor popped up on my screen. It was amazing. Two minutes! The doctor said that he had reviewed my information and then he asked me to see my psoriasis. I moved the phone around my body and showed him some patches. He confirmed that it was indeed psoriasis and asked me a few questions such as if I was experiencing any other symptoms, any joint aches, if I had any allergies, if there was any chance I was pregnant, etc… After I answered all his questions he prescribed me an ointment. He even was able to send the prescription over to my pharmacy electronically using the pharmacy information that I had input into the app earlier – how cool is that? Now I am on my way to having psoriasis clear skin for the summer! I am blown away with how simple and efficient Doctor On Demand is – I would definitely recommend it to anyone out there who wants to see a doctor quickly and comfortably right from their own home. Especially when it comes to dermatological issues like I was experiencing. Dermatology appointments can be hard to come by as well as very expensive. Skin issues often require follow-up visits as well. Doctor On Demand physicians can diagnose and treat acne and other common skin issues quickly, effectively, and affordably. When all was said and done I had spend about 10 minutes downloading the app, creating an account, and inputting my info. I spent 2 minutes waiting for an appointment, and I spend 4 minutes in a face-to-face video visit with a doctor. And that, my dear friends, is how you see a doctor from the comfort of your own home in less than 20 minutes! 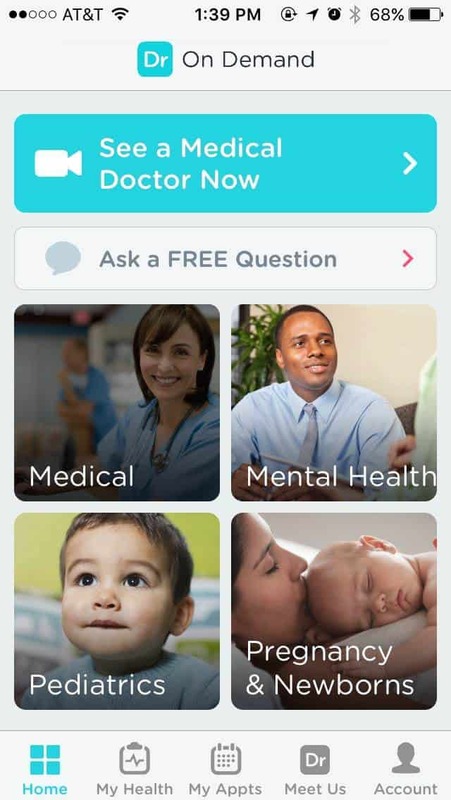 Doctor On Demand medical visits cost $40 or less, and your visit may be fully or partially covered by your health plan – you can check this in the app. Use the Doctor On Demand coupon code DORKYSDEALS to get $10 off your first visit! A very interesting concept. I would be all for it if my regular doctor would use it. This is really cool. I was excited about this app when I heard about it because there are so many times I pretty much know what’s going on with me but my doctor insists on an office visit just so he can tell me I have a sinus infection or an ear infection. This would be good to use when there is some minor issues or questions that may need answers to. In that of time I have enjoyed the opportunity to see technology advance, I became honored (after sharing this and other sweepstakes) when that of the ability to see the doctor on the phone can be done! Among the aforementioned it will be a challenge in it’s own behalf because I can’t afford even a phone or such feature. But I’ll keep entering into sweepstakes for the possibility to win electronics, car, cash etc. to hope I might win such a wonderful feature! Cool. This is pretty easy and convenient for those times when you just don’t wanna go to the doctors. This is such a fantastic option to have available for people. I love that it helps from going to the doctor unless you really should! This is definitely an app my family could use. Sometimes I feel like we rush out to the doctor’s only to waste hours waiting to find out something we could have found out in like 3 minutes from this app!! 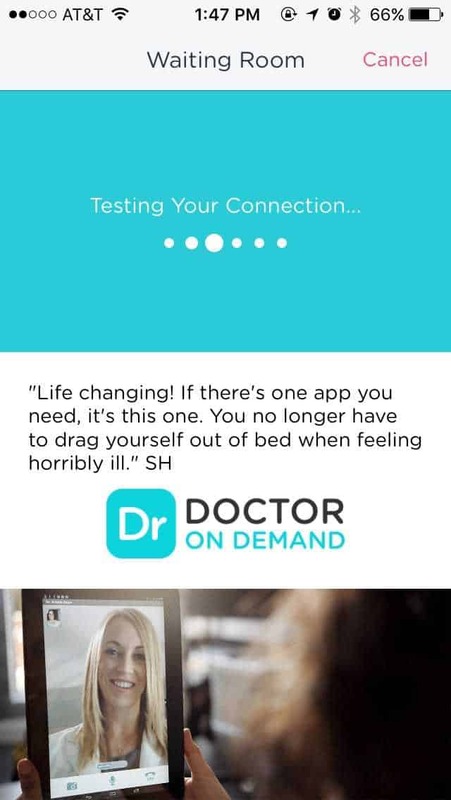 Doctor On Demand sounds terrific. I am sure I would want to try this one day. I think there are pros and cons to this service; an obvious pro is the convenience.